When it comes to automotive technology consumers tend to become blasé about new pieces of technology extremely quickly. For example, on-board computers were only introduced a few years ago but now most people would be surprised if a new car doesn’t come with one as standard. The same is even happening with driverless vehicles, as even though they are not set to hit the UK’s roads until next year people are already starting to get used to the idea of owning a vehicle that drives itself. Therefore it’s not surprising to see that automotive manufacturers and experts are starting to think outside the box by looking to the skies. We have all seen flying cars in films and on television, however these people want to make them a reality in the future. Dorset-based Gilo Industries Group is just one company that is looking to create flying cars and are currently working on their Parajet Skyrunner vehicle which they aim to be able to drive across all terrains as well as fly. Discussing their project, Dan Wareham from Gilo Industries Group said: “From the discovery of the first kites in China, to the earliest attempts to fly with wings made of feathers and lightweight wood attached to arms, flight has been the oldest dream of mankind. We live in an age where almost anything is possible and almost everything is available. Strange then, that the well-established fantasy in which flying cars are part of a futuristic landscape has remained completely out of reach to the captured imagination of millions. “For us, the concept of building a practical flying car was too much of an opportunity to pass by. The challenge was to design and engineer a vehicle that was capable of long periods of flight, yet tough and agile enough to tackle tough terrain and city driving. We also wanted to create an aesthetic look that captured the essence of adventure; that worked both as a car and an aircraft.” At the moment the Skyrunner can reach an altitude of up to fifteen thousand feet and a top speed of fifty five miles per hour in the air. 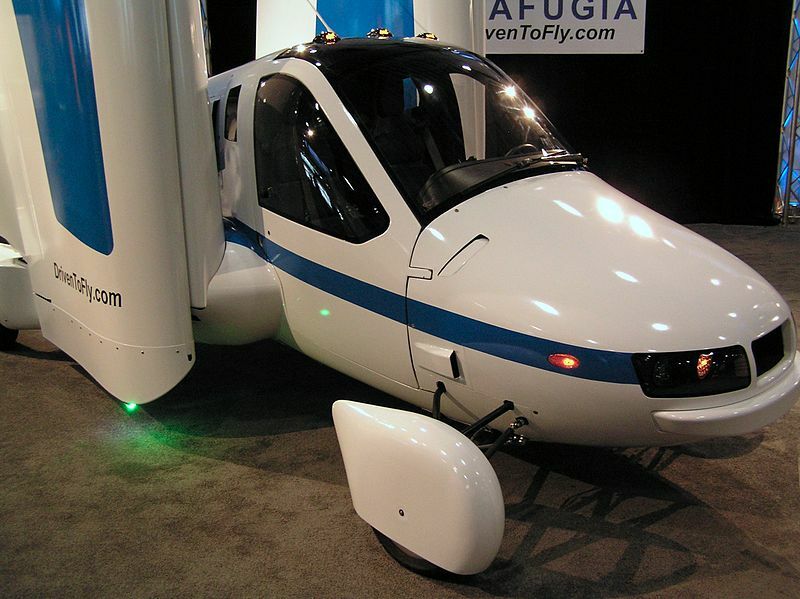 Furthermore, the vehicle has been granted an airworthiness certificate by the Federal Aviation Administration in the US, which means the company can go into production next year. However, Gilo Industries are already facing competition in the market from companies such as AeroMobil in Slovakia who have been testing a flying car with foldable wings. In fact, the company has claimed their first flying vehicle will go on sale in 2016, but we expect that only a few will roll off the production line as they will be extremely expensive to cover with car insurance! While it is unlikely that you will start seeing flying cars going over your neighbourhood anytime soon, it’s extremely exciting to know that they could be a reality in the near future. However, we are still not sure what type of laws would be have to be put in place to allow a large amount of people to fly each and every day, or how you would make sure you avoid other sky users on your journeys!